A lot is at stake for the Warriors, but even more is at stake for Cousins himself. DeMarcus Cousins will make his 2018-19 NBA season debut on Friday as the Golden State Warriors visit the L.A. Clippers (10:30 p.m. ET, ESPN). Cousins tore his Achilles tendon just under a year ago amid another All-Star season. Boogie was well on his way to his third All-NBA honor and, more importantly to him, could taste the first playoff berth of his career. The New Orleans Pelicans did ultimately make the playoffs, burying the Portland Trail Blazers in the first round before falling to (guess who?) the Warriors in five. Cousins, of course, couldn’t make his playoff debut because of the injury. Once the Pelicans made a contract offer that Cousins considered an insult, it appears that playoff debut became a priority, because Boogie signed for a pittance with the one team that could absolutely be guaranteed a playoff nod in the loaded West: Golden State. Now the experiment is beginning, not just for the Warriors — adding a fifth star-caliber player to the starting lineup — but for Boogie, whose career could depend an awful lot on how this goes. There’s really so much in play here from every angle. Let’s run through it. Stephen Curry and/or Kevin Durant are on the floor with one of Klay Thompson and Draymond Green (or each other). Cousins is a gravity monster that makes magic out of dust and pulls attention in the post and at the top of the key when he has the ball. He’s a really bombastic passer off the dribble and from standstill. But where do his shots come from? This was a question when Durant arrived in 2016, and the answer was that the shots came from everywhere. Boogie needs some too, which impacts Curry, Thompson, and Green again. Is Draymond Green going to shoot more than 10 shots in any game the rest of the season? Isn’t it a good thing if he doesn’t, so long as his playmaking and defense stay excellent? From a basketball perspective, this is a fascinating problem. How much talent is too much? Is it possible to have too much when the talent is so malleable as Curry, Green, and Durant are, and as deferential as Thompson is? Green, Andre Iguodala, and Durant in Golden State. His defensive hands have always been really good, and he’s historically one of the best charge-drawers in the league. But in a faster league, coming off a long injury, will he keep up? Or, will there be lots of 5-vs-4 possessions for fleet-of-foot opponents? How hard will Steve Kerr press on Boogie to run? How gassed will Cousins get? Will Kerr have to pull Cousins in critical stretches now or in the playoffs because of defense? If so, how will Boogie take that? Cousins has lasting friendships with Curry and Thompson, and has struck up a camaraderie with Green. He’s a huge personality who has a few locker room conflagrations in his past. The Warriors obviously had one huge conflagration this season between Green and Durant. This is a fascinating little chemistry experiment: the Warriors are pouring a highly reactive agent into what would appear to be a somewhat unstable compound. What could go wrong? Here’s a weird twist to all of this: Cousins is the only top free agent guaranteed to switch teams this summer. Kyrie Irving said he’s staying with the Celtics, Kawhi Leonard and Kevin Durant are questionable but noncommittal, and Jimmy Butler is a total mystery. But Cousins cannot stay with the Warriors and get the salary he surely desires and will likely earn. The Warriors have admitted this publicly. If this goes well, and perhaps even if it doesn’t, he will get a maximum value contract from someone. Who? Who knows? Perhaps he’ll strike up a fruitful relationship with Durant and they’ll jet off together (though the Knicks, seen as KD’s most likely landing spot, don’t need a center). 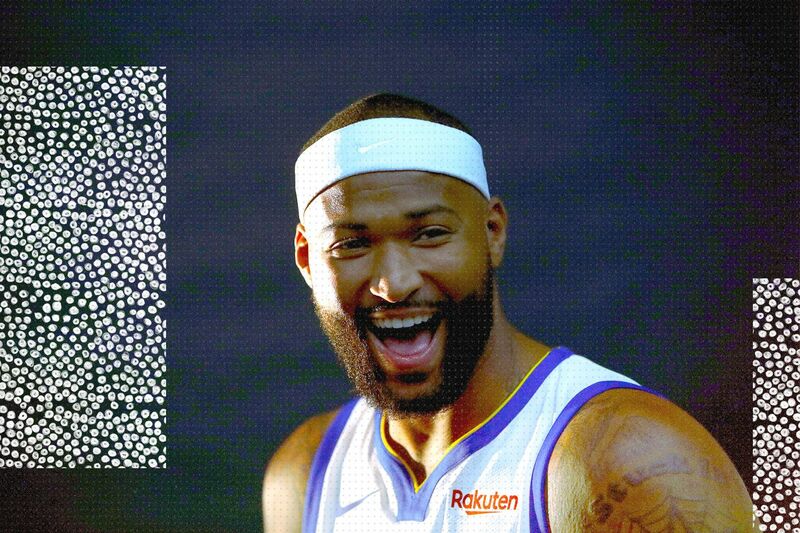 Perhaps Boogie’s mutual appreciation society with LeBron will send Cousins to L.A. Maybe he’ll buy what Steve Ballmer and Doc Rivers are selling. Maybe Dallas will finally land a big free agent. Maybe Pat Riley will make money moves to get Boogie in Miami. If Cousins looks anything like the Cousins of old, he becomes one of the three most interesting free agents of the summer based primarily on the completely wide-open race to land him. This whole thing is such an open potential narrative with so many moving parts. Even if the Warriors are overwhelming favorites to win the title, it’s going to be fascinating to see how all of this plays out and how it changes the future for Golden State. Hegemony can be boring, but Boogie never is.